When you don’t get efficient cooling from your aircon unit, you may think of servicing it, and I would say that is always a very convenient thing to do. However, after servicing most people become aware of the fact that their aircon system becomes much more efficient and makes their home much colder in a very short time. 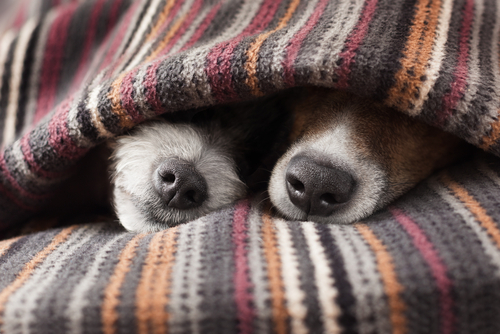 Just like a warm or humid room, a colder room can make you feel uncomfortable, and people tend to wonder why their aircon is colder after servicing. If you had the same question in mind and you are perhaps seeking an answer then look no further since I shall share a few details below that may answer your question. A coolant is the most crucial thing that helps you to get efficient cooling from your aircon. We normally keep using our aircon units without occasionally looking at the coolant level and end up not getting proper cooling from the system. However, servicing it effectively eliminates this particular issue, and you shall get a much colder room. A 10% drop in coolant level within the aircon system will lead to a 20% cooling capacity reduction. This basically means that in case you have 30% less coolant in your aircon system then it will provide only 40% less cooling than its normal capacity. But this situation changes once you change the coolant in your aircon unit when its being serviced and you may get a much cooler aircon as a result. When you invest plenty of your time and money in servicing your aircon unit, technicians normally remove the filter before making any additional changes to it. This minor change reduces a lot of load from your aircon system it will begin to supply much cooler air than it previously did. Accumulation of dirt may cause friction to certain components of the unit, and the aircon may end up functioning poorly. One good thing about removing dust and dirt from your unit is that it makes it healthier and safe for you and your family. Therefore, when I talk about reasons for a much colder aircon unit after servicing it, then I would definitely say that the replacement of filters and removal of dust and dirt is the main reason for that remarkable result. Another thing that may affect the cooling functionality of your aircon unit is improper ventilation for the outdoor unit. We usually don’t pay attention to the fact that the outdoor unit is equally important to the efficient running of your aircon system and if not properly ventilated then your aircon may malfunction. You may ignore this particular issue, but your aircon technician will ensure that the same mistake is avoided by thoroughly checking the ventilation of the outdoor unit. If he notices that it is not properly ventilated, then he will make the necessary changes and ensure that it is properly ventilated. This extra precaution will ensure that you get a much colder aircon system without running into any problem. Many people think that they may be experts in everything and can end up destroying the tuning of their aircon. However, in most cases they do not know anything pertaining the tuning of their aircon unit and as a result, they may not get proper cooling. An aircon technician, on the other hand, knows all about this kind of issues and also knows how to tune an aircon perfectly. Therefore, he not only check the issue but also solves it accordingly. As a result of that minor change, your aircon starts working efficiently, and you are guaranteed a cooler flow of air in your home. The most irritating and less known fact about the aircon cooling mechanism is that even if you have a couple of minor issues on the mechanical side of your unit it might not work to its full potential, and you might not obtain the desired cooling from it. However, when you service your aircon, the technician will look into each and every problem and quickly resolve it. This means that once these problems are resolved you get a much colder aircon unit once servicing is completed. People sometimes use their aircon unit continuously without giving it some time to rest, and this may result in the accumulation of ice within the aircon system. Your aircon may not work to its full capacity due to the deposition of ice, and you may not get any cooling in your home at all. Accumulation of ice makes the condenser coils to freeze, and this may prevent heat from being released from the system. 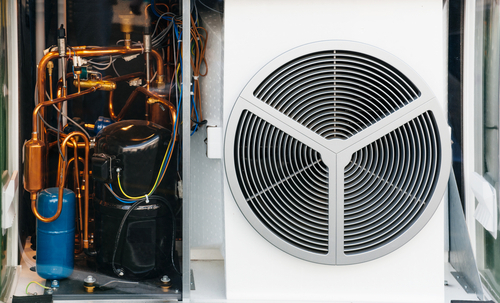 However, when you ask a technician to service your aircon, he not only removes the ice but also cleans every part of the system, such as the fan motors, filters and the condenser so that you can get optimum cooling with it. Thoroughly cleaning the system allows you to get colder air from your unit after servicing it. Apart from the mentioned reasons, aircon technicians usually check many other minor problems such as the amount of heat that circulates in your room or the aircon system leakages. Once the technician notices these particular issues, he subsequently comes up with an ideal solution to effectively resolve those problems to ensure that you get an adequately colder room with your aircon unit after servicing it. The good thing about these additional suggestions is that if you properly follow the provided ideas and tips, then you shall certainly get optimal results with a much colder room to ensure that you are always comfortable in your home. 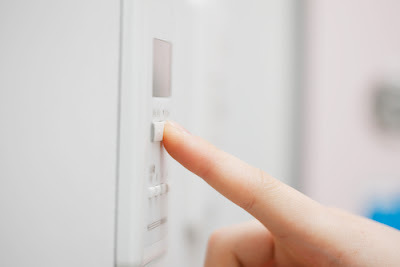 Therefore, in case you have a feeling that your aircon system may not be colder as it initially was, then now is the best time to contact a technician to service it. And once you get good servicing of your aircon system, then you are guaranteed to get a cooler air circulation in your home without running into any trouble or complications.